Christopher S. Lichtenwalter, M.D., specializes in interventional cardiology and is a partner at Cardiovascular and Arrythmia Institute. After obtaining a Bachelors of Science degree in Chemical Engineering at the University of Oklahoma, he attended medical school at the University of Texas Southwestern Medical Center in Dallas, Texas; a perennial top 20 medical school by U.S. News and World Report, graduating at the top of his class. He stayed at UT Southwestern for internship and residency training in Internal Medicine. Following a year of working as a Hospitalist at Baylor Irving Medical Center, he returned to UT Southwestern for fellowship training in General Cardiology and Interventional Cardiology. During his two years of advanced subspecialty training in interventional cardiology, he obtained extensive training and experience in complex coronary percutaneous interventions including specific training and experience in chronic total occlusions as well as peripheral endovascular interventions and structural heart disease interventions. After completing his fellowship training in June 2010, he joined C.A.I in July 2010. Dr. Lichtenwalter is Board Certified in Internal Medicine, Cardiovascular Disease and Intervention Cardiology. Dr. Lichtenwalter was actively involved in clinical research during his fellowship training. He has numerous publications in multiple peer-reviewed cardiology journals, especially in the areas of clinical implications of stenting of saphenous vein grafts, peripheral vascular disease and complex coronary interventions. (see his CV for further details). He served as the Director of the Quantitative Coronary Angiography Core Lab at the Dallas VA during the final year of his cardiology training. 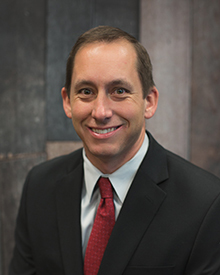 Since joining C.A.I, Dr. Lichtenwalter has remained busy practicing as a general and interventional cardiologist throughout the east valley, performing more than 800 catheterization procedures per year. He has hospital privileges at Mountain Vista Medical Center, Banner Baywood, Banner Heart Hospital, Banner Desert, Chandler Regional, Mercy Gilbert Hospital, and Phoenix St. Luke’s Hospitals. He continues to have a strong active clinical interest in treating advanced coronary artery disease and complex coronary percutaneous coronary interventions (PCI [stenting]) including chronic total occlusion (CTO) interventions. In addition, he also has a strong clinical interest in the endovascular (catheter based) treatment of both acute and chronic peripheral arterial disease, as well as endovascular treatment options for structural heart disease.